There are generally two categories of autocross tires. The autocross and track only tires which cannot be used on the public roads in daily driving. These are R-compound racing slicks with a narrow tread depth of 4/32″ and near to zero traction in wet conditions. They are designed to provide ultimate performance in dry conditions and that’s why they have a very soft compound with 40 UTQG rating. 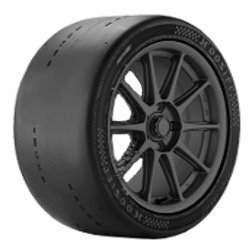 The autocross and street legal tires for car racing enthusiasts who also want to use the same tires in daily driving and autocrossing on the weekends. These have generally 200 UTQG rating and tread depth of 8/32″. Below we have covered both categories of the tires. 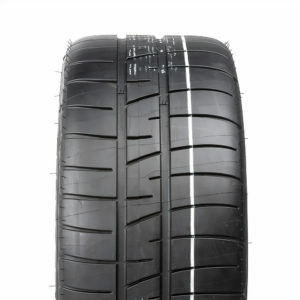 All of the tires mentioned below are the top rated that are popular in 2019 and will give you the maximum performance at the autocross events. 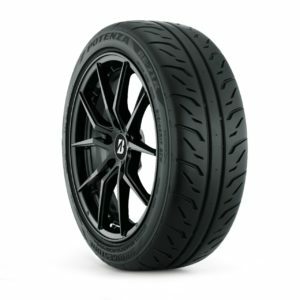 RE-71R is the hands down fastest autocross tire in the market currently. It’s a DOT-legal street tire with UTQG rating of 200 AA. Potenza RE-71R features a 3 rib design with massive shoulder blocks and slick central rib. The tread design is warranted to give you excellent traction, cornering stability and a lot of steering feedback. Now these are all important factors in a good autocross tire. Road feedback and cornering stability is important of all when you need to maneuver the car through cones and zig zag patterns. The high performance comes at a cost and that is the comfort and road noise in daily driving. This tire is very firm and noisy at the same time. It’s made for the autocross enthusiasts who are ready to sacrifice their daily driving comfort for the performance. 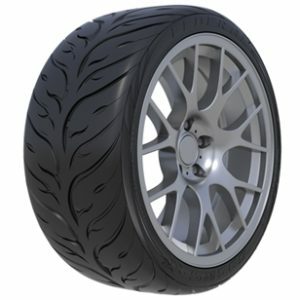 Rival S 1.5 is the successor of G-Force Rival S with the same tread pattern and compound but with the revised manufacturing process to improve the steering response. It features a 3 rib tread pattern with large shoulder blocks for traction and cornering stability. Rival S 1.5 has excellent dry traction and cornering stability. It’s front end feel and grip is better than it’s predecessor. Performance wise it can go neck to neck with RE-71R. 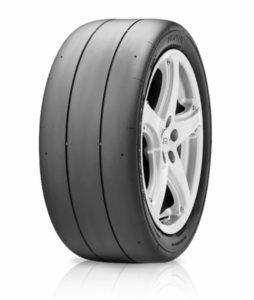 But it lacks the kind of steering response RE-71R provides and that’s the main reason Rival S 1.5 is our 2nd best autocross tire. In daily driving, Rival S 1.5 is better than RE-71R. Although the ride is firm it’s not as harsh as some other extreme performance summer tires. The tire noise is also better than other competitors in the lineup and much better than RE-71R. If you are just a beginner or autocross occasionally then Potenza S007A is the most suitable autocross tire in our opinion. Bridgestone has discontinued Potenza RE-11 and S007A is it’s direct successor. S007A is a good balance between performance and comfort in daily driving. I think it’s the least noisiest and most comfortable autocross tire to drive on streets and highways. The noise is not that loud that makes you uncomfortable and also its softer on bumps and potholes. The wet traction is also much better and this tire won’t hydroplane like RE71R and Rival S. S007A has 240 UTQG rating so it would last longer and give you a better tread life. However, S007A performance on the track is not like RE-71R and Rival S, but still, it provides good traction and steering response. Unless you are competing in time trials, S007A is a fun autox tire. If you are on a budget and want to keep your expenses around $500 then this is the best autocross tire for you. RS-RR needs some time to heat up and the traction to kick in. But once heated, it can provide excellent traction and cornering stability. The steering response is sharp that you can turn the wheel with the wrist only. Hoosier have a long history of manufacturing racing tires and A7 is quite a popular tire in autocross community. A7 is specifically designed for drag, time trial, and hillclimb events. It has a very soft compound that can be operated in lower temperatures to get the grip and responsiveness instantly. A7 is designed with new tread compound to extend its wear and address heating issues for longer runs compared to its predecessor Hoosier A6. What makes A7 ideal for autocross is the grip it offers from the word go. It has really good steering response and adjustment on the sharp turns. But it’s not ideal for running 30 – 40 minutes long sessions. The grip go away with the time as tire starts to build up heat. For racetracks and longer runs it’s preferable to switch to Hoosier R7 or other track tire. Hoosier R7 tires are designed for racetracks and higher temperatures as compared to A7. 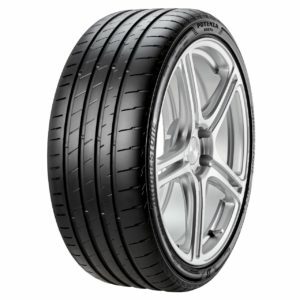 Hankook Ventus Z214 is another popular choice for autocross events. Ventus Z214 comes in 2 compounds: C51/Medium compound for track use and the C71/Soft compound tuned for autocross competitions. Z214 is a good competitive tire and does everything that you need from an autocross tire. It has exceptional longitudinal grip, steering and cornering is also good. Z214 is cheaper and the power down is better compared to Hoosier A7. In our opinion, A7 has better initial and lateral grip. It’s difficult to separate the A7 and Z214 as both are quite good. It’s really up to the driver how he modifies the car to extract the best performance out of these tires.